I'll second everything that's been said sofar. For precision the comp solus really does outshine the original though. Theres a night and day difference, ask any flier thats tried them both. Allen going off of you, I'll throw another kite out there for non production and thats the mongoose. A bit more accessible tricks than the Mamba, but still smooth as silk and a great tracker. OK fine. Since the Mamba and Mongoose are out there, the Mantis/Muse deserve mention as full size smooth flying ballet style kites that will do many tricks if asked. The Exile while a bit smaller retains much of its larger siblings flyability and smoothness - that Blue Moon feel. For me its tricks are the most accessible of the BMK family. The Exile is adaptable with weight, standoff, and even US changes. You can stack them and pull long tube tails. Most importantly, the Exile is the largest kite that will fit in my car trunk with LEs assembled. what a shame and real pity that blue moon kites are not made any more!!! If we're talking non-production kites, then the Blue Moon Mamba wins in my book for the best combination of flight quality with trick accessibility. It's not as tricky as a newer design, but as a freestyle ballet kite it's hard to find a better. Bridges the era between the old school kite that flew really nice but didn't trick and most newer designs that can do amazing slack line stuff but sacrifices some flight quality to get there. If its the mamba that gwtw steve's wife was flying to win that days contest in Auburn, I must agree. Never seen a girl (or guy) make a dualie dance so well to the music. I think allen was there that day too. The Sweet Emotion has been discontinued. The Cross Fire is now the top model by Skydog. The Dream On, which is a little smaller is a very nice flier. the Cross Fire is more of a trickster with a weighted spine. of any of the kites as I was merely testing them for "A Wind Of Change". The initial build quality was very good. Hope that helps. I am a newbie into kiting and have 2 Revs, and 3 Dualies that I fly. I have little interest in tricking, but really enjoy the idea of precision flying and having a "good flying" kite. It seems the kite industry today, is focused almost totally on tricking, and it seems that a precision type kite is starting to be as rare as hen's teeth. That being said, what currently available kites would a flyer interested in for precision flying? I'm finding myself developing into a precision/ballet type flier...the same as CBob. While I want to learn some tricks to round out my experience and skill with a sport kite, I'm leaning more toward precision flying, possibly team flying or ballet in the future. Chilese, I appreciate your valuable info that you post here. Your write-ups are spot on and are a great help to any pilot... especially a new one, like me. One of the many reasons I recommend the Mamba is because there are a LOT of them out there. Really, if your interest in sport kites goes beyond the basics and whatever is trendy these days, you'll need to be open to lots of kites that are no longer made. There are tens of thousands of excellent sport kites sitting in garages and closets all over the world. Most of which are very lightly flown. Used sport kites are a very safe buy. Buy new if you like what's on the market, lord knows our kite making brothers and sisters can use the buck, but don't limit yourself. 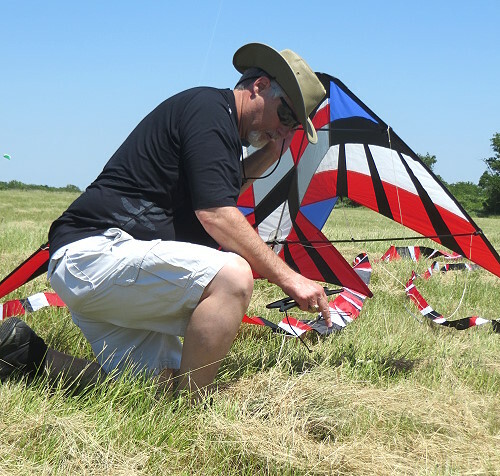 I started flying back in the early 80's saw the whole modern sport kites start. To this day I don't feel comfortable with kites that don't have precision no matter how well they trick. I still have most of my old skool kites. They do not fly like any of today's modern sport kites. I recommend them highly. It is a whole another world. I love skydogs sweet emotion. I have a lot of kites and this is the only one that does everything I want a kite to do. The comete isn't so easy and balancing this kite in the fade is a little tricky because the kite is so yo-yo happy. When I get my tax refund I'm buying as many as I can while there's still some out there.